Genie offers a complete line of portable, self-contained material lifts that are easy for one person to transport and use for a variety of light, heavy and specialized material lifting tasks. Applications include lifting items such as HVAC, electrical and building materials as well as appliances, computers, warehouse stock, stage lighting and sound equipment. Its features include: 7.94 m (26′ 5″) maximum working height, Up to 295 kg (650 lb) load capacity, Use as a single unit, or two or more can be used together to support trusses, Flat black anodized finish is nearly invisible to audience, Portable and compact design, Lightweight, durable aluminum construction, Single-door access, Easy set-up with no tools required, Durable steel forks, Hand winch locks in place when handle is released, Easy to transport – no bulky base, Hold-down mechanism secures carriage during transport, Position swivel-lock casters. 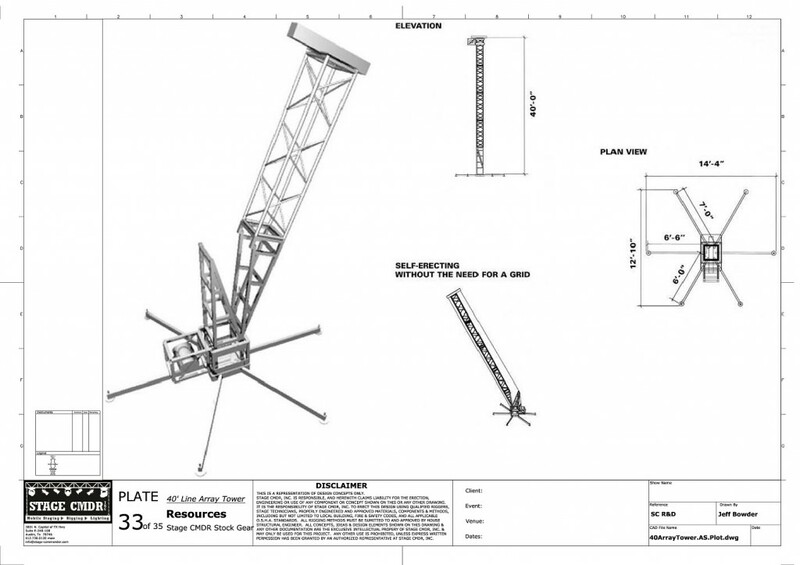 Towers are 21′ tall and with the outriggers extended and they occupy an approx 6×8 space. They also collapse down to a 9′ height for easy transport. Ballast is only needed if outriggers are not to be used. The towers are to be used with a 1 ton hoist motor which we also rent. Please note our towers have now been painted black and are not available in silver. Tomcat truss floor base, 30×30 inch, silver. 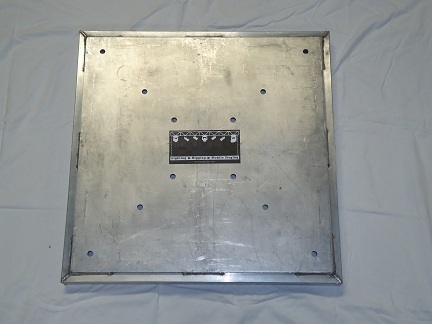 It can be used for both 12″ & 20.5 Tomcat plated box truss. 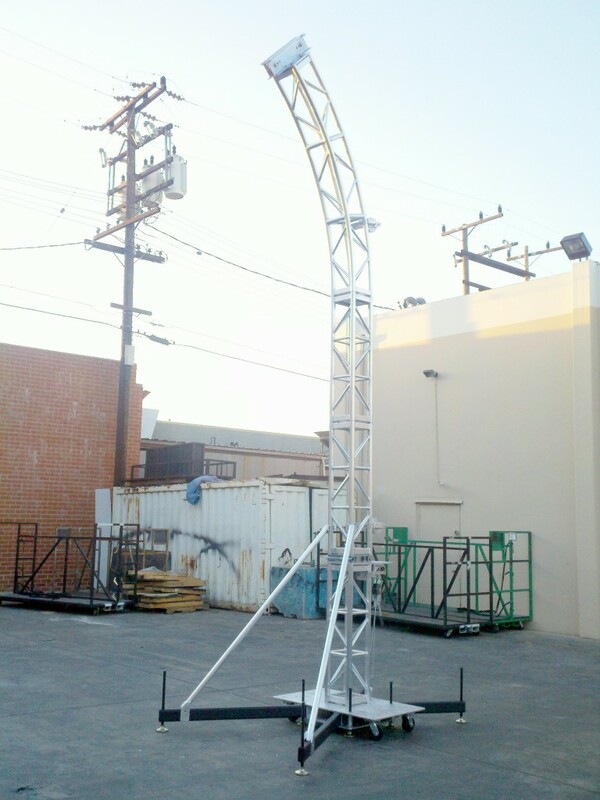 Perfect for making light towers with either black or silver truss. Bolts/nuts included in rental. Allows you to screw in any of our black pipe lengths. Sandbags are recommended for 10′ & 12′ steel pipe lengths.